A t Oakhall Church we’re passionate about sharing the good news about Jesus with men. The Oakhall CVM group put on events throughout the year specifically to build friendships with other guys and to introduce them to the greatest man who ever lived – Jesus Christ. 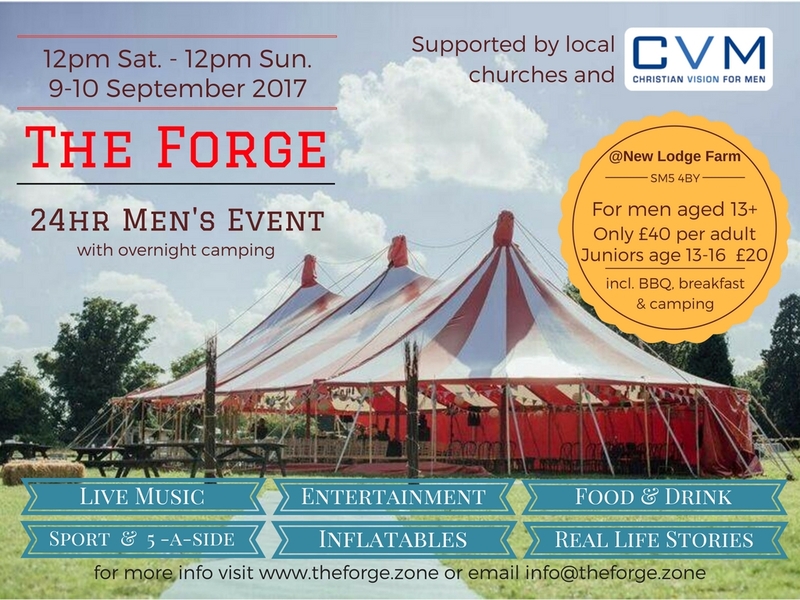 We attend the yearly CVM festival, The Gathering, in a field near Swindon, and are helping to run a local 24 hour men’s camping event, called The Forge, click here for more details.